Let’s start with a disclaimer. Apart from writing, performing, teaching and gardening, I keep chickens for eggs and breed rabbits as an ethical meat supply for my family. If this isn’t your thing, don’t bother reading any further – I don’t want to cause anyone any distress. This morning when I fed all the hungry beasts (six chickens and three rabbits) I had a talk to my gorgeous British Giant doe, Boudica. She had a “date” with my buck Beelzebun about a month ago and she was singularly unimpressed with his romantic advances – to the point where she drew blood on the poor boy! I really wasn’t sure if she was pregnant (she is a big girl!) and concerned that I’d have to rethink my breeding strategy for this season. 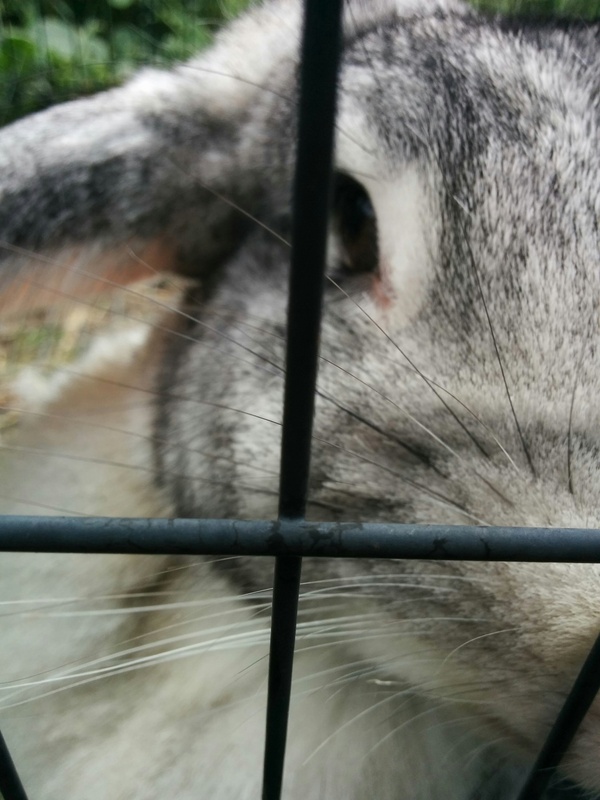 My neighbour Karen was feeding her two pet bunnies and came with me to see Boudica in the nursery hutch. 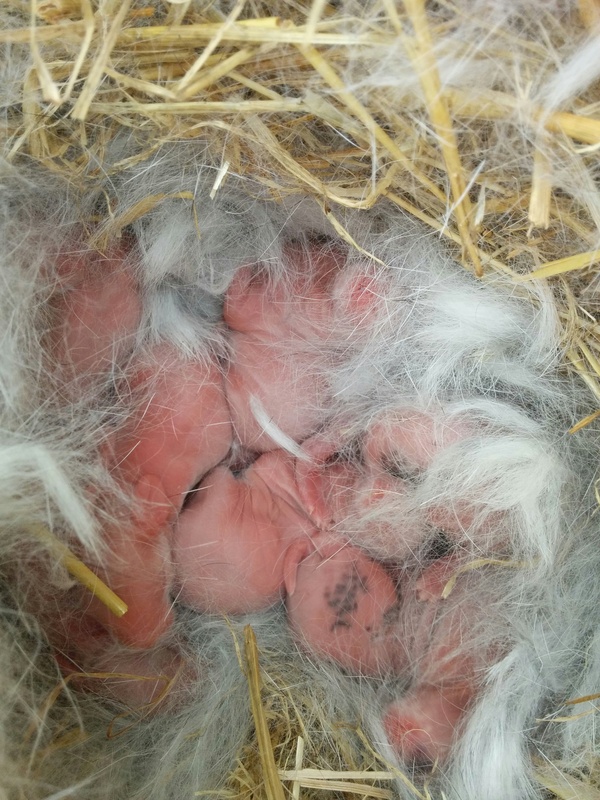 To our tremendous delight, we discovered seven little baby buns, wrapped in some of Boudica’s super soft belly fur in the nesting box. It was really lovely to share this with Karen, she is another person who is very dear to me and loves bunnies. No matter how often it happens, I always get a thrill from seeing new life in the yard. Occasionally I sell a litter, some to other breeders and some as pets. Full grown, they are as big as a large cat and very placid and gentle creatures. But primarily I breed to provide an ethical meat supply to my family. I have a buck and two does and all three are much loved pets and with an average of nine kits per litter, I’m careful not to over service the girls. The rest of the day I spent pricking out seedlings into home made grow tubes, giving Boudica raspberry leaves, collecting rhubarb seed and cutting back the kale flowers, a regular task this time of year which has become a bit of a weekly event. My chickens adore kale, so every week I take a big bunch into their yard and chop it up for them. It made me realise how well the two new Isa Brown hens, B1 and B2 have integrated into the flock. 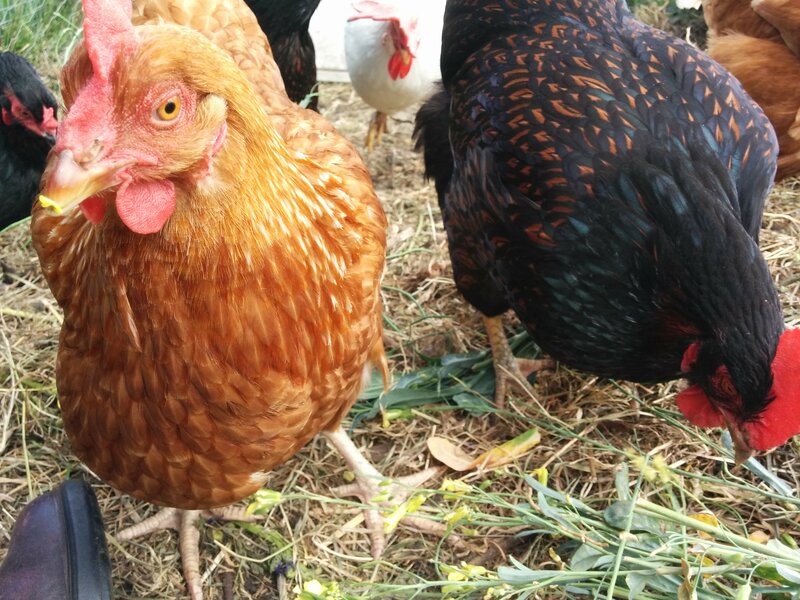 They came from a local egg farmer about three months ago, who lets his chickens free range during the day and roost and lay in a barn at night. When the girls arrived, they were looking a little shabby and thin but they were extremely interested in food. There were a few weeks of pecking and chasing by the other hens, establishing the new pecking order, which really didn’t help. B1 in particular went through a full moult and was especially timid.